Avon Rubber is a good example of a company that fits into the category of a profitable niche business. It started off as a cloth mill in 1885 but most people will know its name from Avon Tyres which was sold off in 1994. Today it makes its money from selling protective breathing products and parts which go on milking machines. But is it a good business and are its shares an attractive investment? Avon is the global market leader in making breathing products that protect against chemical, biological, radiological and nuclear threats. Its protection masks and breathing apparatus are sold to military customers, police forces and fire services. Sales to the Military accounted for 60% of sales in 2017 of which the vast majority came from the US Department of Defence (DOD). Law enforcement accounted for 25% and Fire 15%. The business operates from four sites in the USA and three in the UK. Sales to military customers are made directly with other markets served by a combination of direct sales and a network of just over 300 agents and distributors. Supplied and Powered Air – Masks combined with self contained breathing apparatus (SCBA) and powered air purifying respirators (PAPR). CS PAPR and CS Elite. Mi-TIC S infrared camera, Deltair breathing apparatus and Magnum breathing apparatus. This kind of business has some very desirable characteristics in my opinion. As the products are safety and performance critical the standards set by buyers are very high and strict. This creates a barrier to entry and reduces competition. Once a company is on the preferred supplier list it stands a good chance of maintaining and growing its business. If you are not on the list you can’t compete. The other desirable characteristic is that the products tend to have very long life cycles which gives great visibility on revenues and profits. In many instances, research and development costs of military products receive a substantial contribution from the customer. Avon’s Protection business had a very good 2017 with strong growth in orders, revenues, profits and margins. The closing order book was also up strongly. However, a closer look at its recent history shows that this pick up is relatively recent and probably owes something to the weakness of the pound against the US dollar. 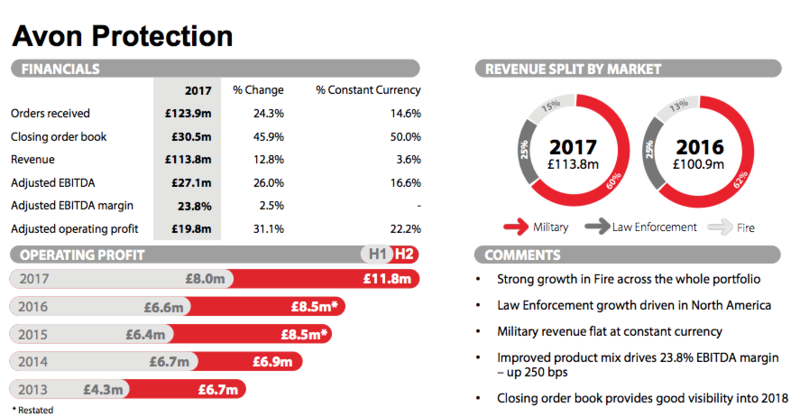 That said, there has been a significant improvement in growth in Fire and Law enforcement sales along with a favourable change in the sales mix towards more profitable products. This has been responsible for the big improvement in profit margins in 2017. One potential concern is that Military sales have stopped growing once the beneficial effect of currency has been stripped out. 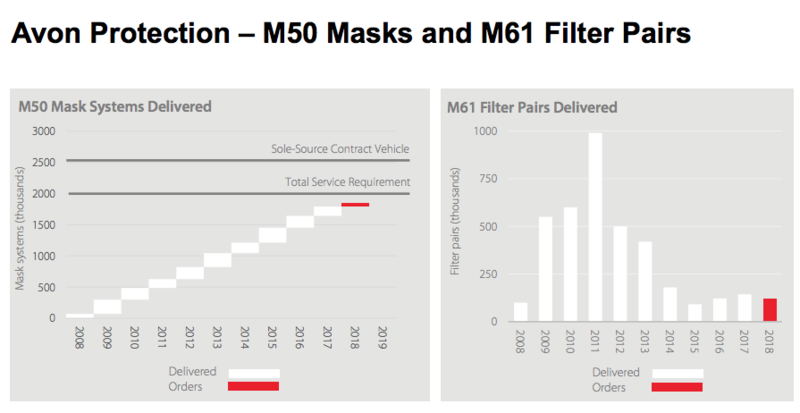 The US Department of Defense (DoD) is its biggest customer but growth here is muted due to the winding down of the M50 mask and M61 filter spares contracts shown in more detail below. A 10 year sole supplier contract ends in 2018. 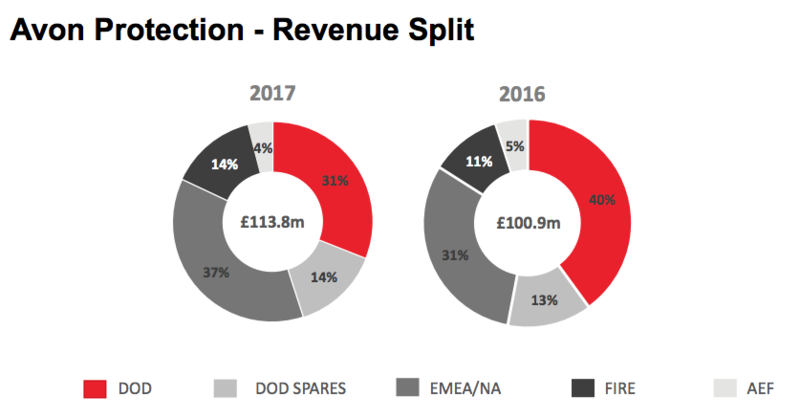 Going forward, new contracts with the UK military will offset the maturing DoD contract and is expected to boost margins but not immediately as sales will take a few years to build up. There is also expected to be growth from the M35A1 powered air respirator and the M69 aircrew mask which should see orders coming in from the DoD this year. The company is currently in discussions with the DoD on the replacement programme for the M50 mask. Whilst nothing has been awarded yet, a new 10 year contract could give a substantial uplift to profits and the valuation of the company. This week has also seen Avon announce a new order for 47,000 additional M50 masks that will bring in an extra $12.6m of revenue in 2019. Good growth is coming from the Fire business across America and the growth prospects here look to be pretty decent albeit at a more modest rate than was seen in 2017. Law Enforcement which grew sales by just over 6% in 2017 at constant currency is expected to grow at a similar rate in 2018 as more police forces are expected to buy Avon’s C50 mask. Growth over the medium term is also likely to come from new products being introduced to the portfolio of protection products where the company also has a decent track record. There is a reasonable opportunity to increase the customer base within the law enforcement segment. Avon’s Dairy business is on the up as higher milk prices are giving dairy farmers more confidence to buy its products and use its services. It is the market leader in milking cluster technology – the process that removes milk from cows. Avon Dairy Solutions (ADS) is a manufacturer for various Original Equipment Manufacturers (OEMs) and many smaller Private Label Dairy clients. ADS also sells its own brand Milkrite and InterPuls products through a large external dealer network. The business has a significant presence in the US, Europe and Latin America. Interface (70% of sales) – components that go onto milking machines such as clusters, liners, tubing, claws, shells and washtrays. These products are sold on the proposition of improving the efficiency of the milking process and the health of cows. Precision, Controls & Intelligence (21% of sales) – Precision is all about controlling the air in the milking machine to make it work better. Control systems control the milking machine and minimise labour costs. Intelligence provides data about cows and helps farmers with managing their herds. Farm Services (9% of sales) – Avon’s products are offered to customers on a rented basis with a servicing package as well. As with the Protection Business, Dairy has a good track record in producing high profit margins. Margins fell slightly in 2017 as the company invested in growth projects which increased costs. 2017 was a very decent year with constant currency growth rates of 4.3% from Interface, 20.2% from PCI and 18.9% from Farm Services. Growth is expected to continue in 2018 but with PCI growth rates moderating to about 10%. Avon stacks up well on some key measures of financial performance. These indicate that it is a high quality business. Avon’s business quality shows itself in very decent ROCE but the trend is downwards as the company has made several acquisitions over the last five years. Profit margins have been decent but have moved around a bit. They are forecast to rise over the next three years. Cash conversion looks alright. Operating cash flow tends to be greater than operating profits. This ratio is not flattered by working capital as there is no evidence that customers pay for Avon’s products in advance. Free cash flow conversion is more patchy. 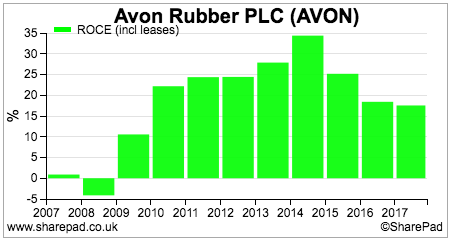 It was terrible before 2014 but has improved dramatically in recent years, mainly as a result of strong growth in operating cash flows. Borrowings are minimal but there is a significant pension fund deficit that has been increasing in recent years. This needs to be watched but is not a threat to the company’s solvency or dividend payments. 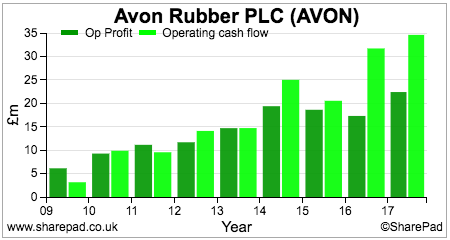 Last week, I wrote an article about looking at incremental change in a company’s financial performance. (click here to read more about it). 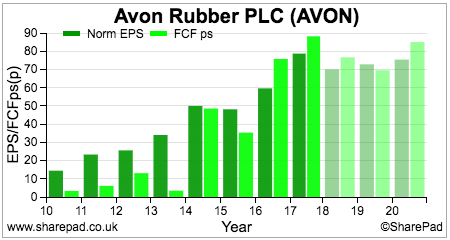 Avon’s performance has been lumpy but not too bad on a five year view. We can see that Avon has increased its capital employed by over £70m over the last five years and generated a £10.7m increase in trading profits – an incremental ROCE of 15.3%. 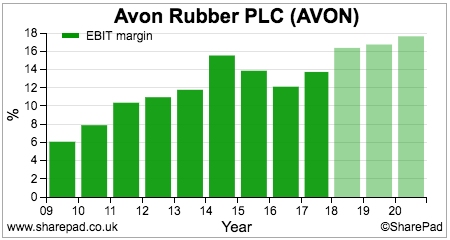 The incremental free cash flow margin has been an impressive 40.6%. The big improvement in 2017 is encouraging with a big step up in incremental margins and ROCE. There is a risk that a large acquisition could spoil these numbers going forward as could a slowdown in military protection sales. One other interesting point to note about Avon’s financial statements is that it does capitalise some development costs on its products. It then spreads these costs against revenues over periods of between five and 15 years. There’s nothing wrong with this. Personally, I’d rather see all these costs expensed against revenues but companies are allowed to capitalise them (stick them on the balance sheet) if there is a reasonable certainty that the money will end up creating future profits. Capitalisation of costs can allow a company to boost its profits compared with expensing them. 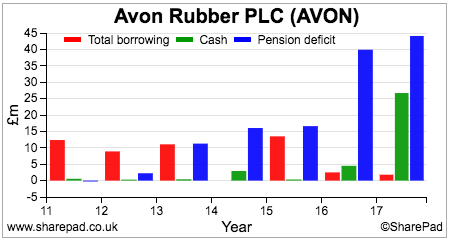 To see if this is the case, it’s often useful to compare the amounts capitalised with the amounts amortised (the spreading of development costs) in the income statement. There has been a small boost to profits over the last five years, but this was not the case in 2017. From a conservative point of view, I think this is no bad thing. 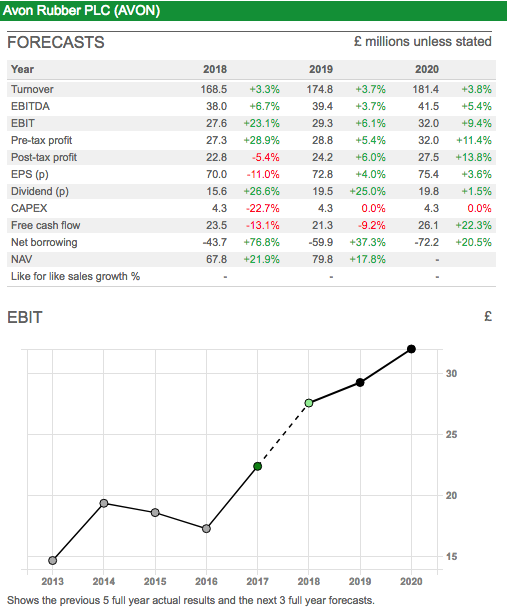 Analysts’ forecasts for Avon make for interesting reading at the moment. Profit growth is expected to be quite muted which kind of seems at odds with the reasonably upbeat outlook from the company. There are a number of explanations for this. Firstly, the M50 mask contract is winding down. This will see lower sales and profits in 2018 which will not be offset by growth from new sales for a couple of years at least. Secondly, currencies which were helpful to sales and profits are now a hindrance as the pound strengthens against the dollar. 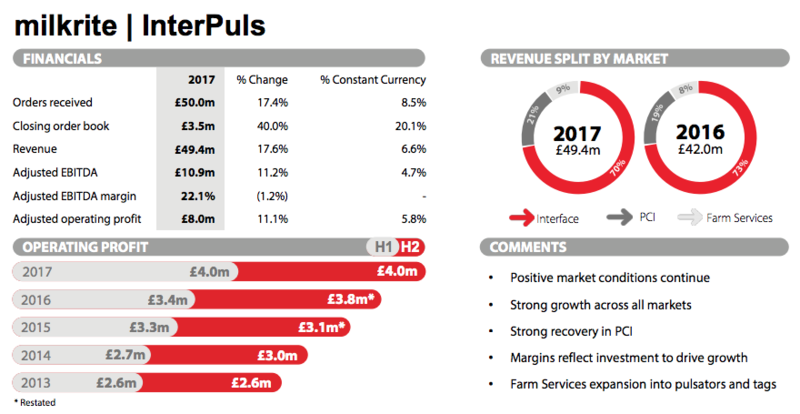 Given the current sales and profits mix of the business, a five cents depreciation of the US Dollar decreases revenue by approximately £5m and operating profit by approximately £0.7m. A five cents depreciation of the Euro decreases revenue by approximately £0.5m and operating profit by approximately £0.1m. Thirdly, there was a large tax credit in 2017 which benefitted post tax profit and EPS that is not expected to recur in 2018. This will see a significant reduction in EPS despite improvement in trading profits. With strong free cash flows and net cash on the balance sheet as well as a manageable pension deficit the company has made no secret of its desire to make acquisitions which enhance value for shareholders. It’s always encouraging to hear of such intent but I don’t think this should command anything extra on the current share price. The company has said it is prepared to gear up to a net debt to EBITDA ratio of up to 2.0 times if the right acquisition comes along. As long as trading remains good, investors should expect very strong rates of dividend growth from the shares over the next few years which could produce a very nice boost to shareholder returns. 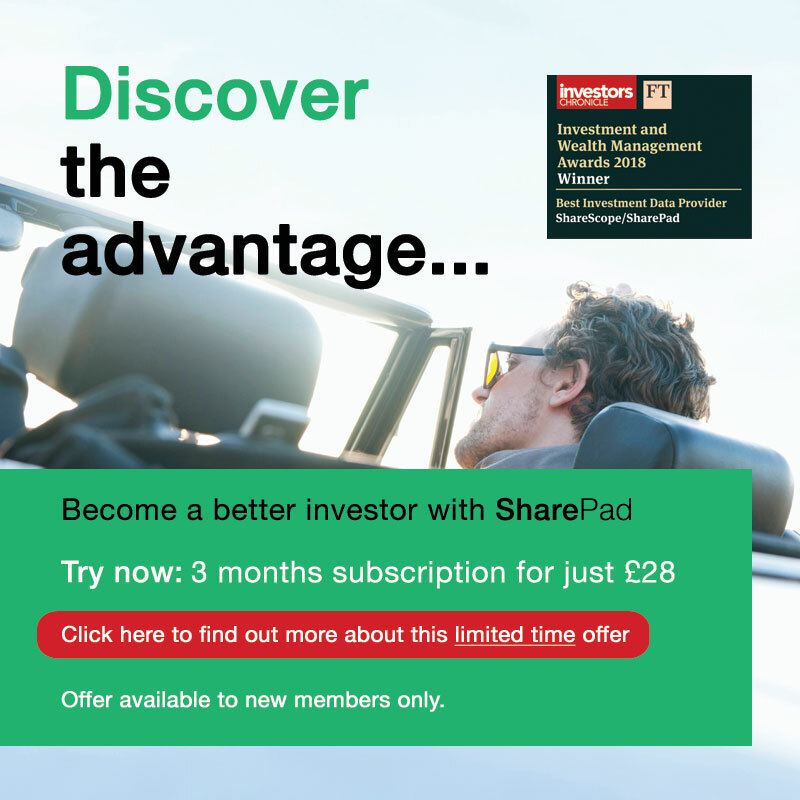 Just as an example, two times dividend cover on current forecasts would give a dividend per share of 35p and a yield of 2.8% at a share price of 1255p. Granted that’s still not particularly high but I’m sure that shareholders will gladly accept it. I think Avon is a good steady business. 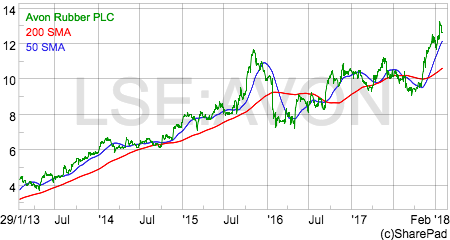 The shares are not desperately cheap on a one year rolling PE of 17.8x but nor are they expensive given its financial performance and medium term growth potential.